April 8, 2017. It's a date Red Daniels would rather forget. That's the night he and his former tag team partner Jake Capone lost the Stride Pro Wrestling Tag Team Championships. The duo dropped the titles in their very first defense. Ax Allwardt and Scott Phoenix won a fatal four-way elimination match to capture the gold. That night also saw the former champs split up and Capone hasn't been seen since. In those few short months, Daniels has established himself as a top-tier talent in Stride. 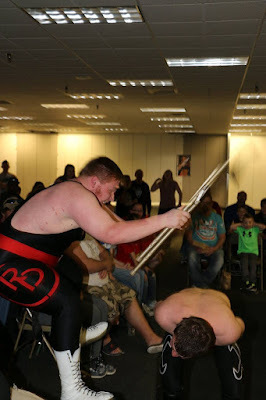 He inserted himself in the main event at the Brave the Storm show as Heath Hatton and Roger Matheus battled each other in the company's first TLC match for the Stride Pro Wrestling Heavyweight Title. 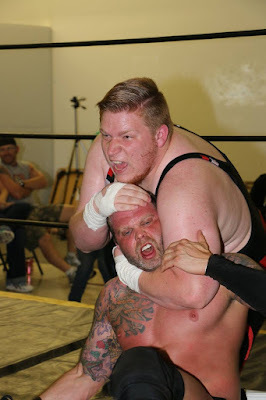 Red's presence during that match landed him in back to back main event appearances, one week teaming with Matheus against Hatton and Jay Spade and the next week finding himself in a four-way battle for the title. Despite coming up short in that match (Hatton was pinned by Matheus), Red has shown considerable improvement. Once viewed by many as just another big guy and locked into a tag team, Daniels is honing his craft and growing as a singles star. This Saturday night he faces a relative newcomer on the Stride roster in Beau Tatum. Tatum picked up a huge win over Chris Hargas last month. Can he keep that momentum going against a determined and seemingly angry Red Daniels? Both men will also be in the Rumble match to determine a new number one contender. At a solid 300 pounds, Red will likely be the biggest man in that match and in my 1-2-3 cents the guy to beat. 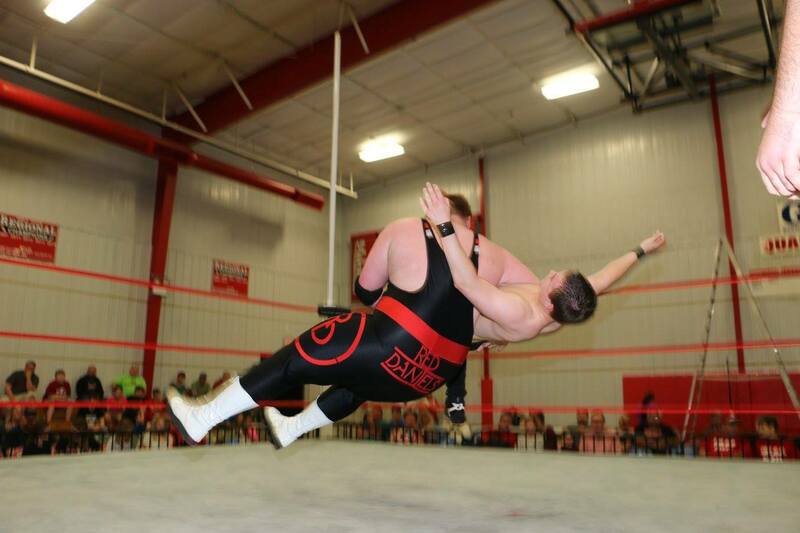 Bell time is 6:30 p.m. at the Illinois Star Centre Mall.